Skincare products by renowned Mayfair Beautician, Janet Ginnings needed packaging which reflected its Indian inspiration. 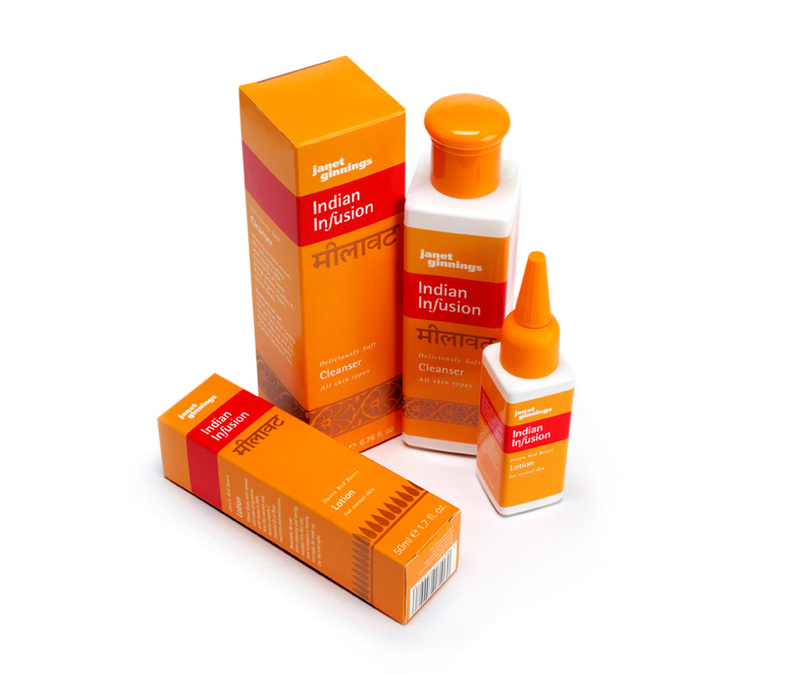 To create packaging for the Indian Infusion skincare range. Women who frequented beauty salons and desired skincare products that had credibility and appeal. They want creams and lotions that will enhance their complexions and are pleasant to apply. They don’t mind paying a premium if the products are deemed effective. These products will help to make my skin feel and look better. They are uniquely inspired by Indian traditional recipes and Janet has researched and perfected them. Janet is known for her methods and quality so these are alternatives to the big brands. Indian Infusion – top quality, natural and effective skincare products. A bright and elegant range of packs which successfully fuse East and West graphics.